Dr. Jaime A. Almora receiving the Certificate of Appreciation - being the Top Performer of Service Category Award and automatically a Nomination for the National Competition on 2013 Productivity Olympics. Re-Awarding Ceremony of the Nat'l. 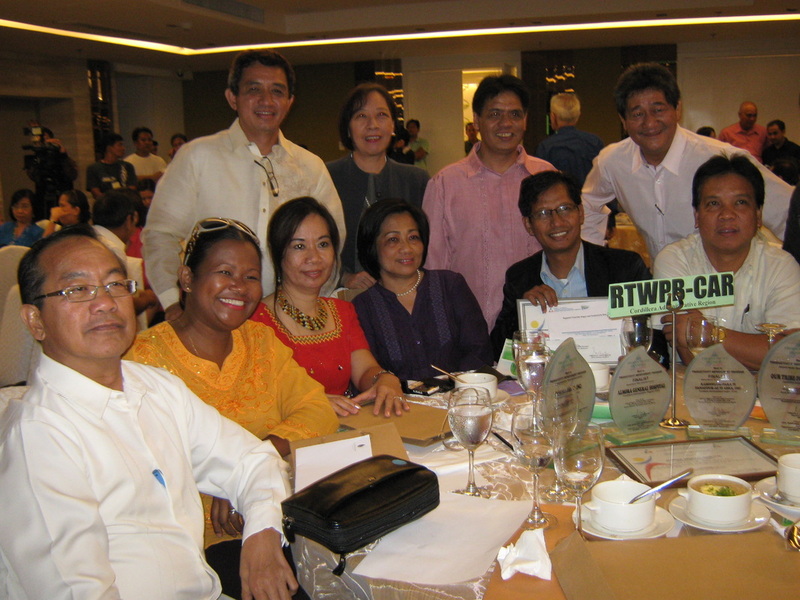 Productivity Olympic Award was held at the Capitol of Kalinga with Gov. Jocel Baac and Board Member Bongngat on the picture. The Award was received by Dr. Jaime & Dra. Carolyn Almora on November 14, 2011 during the Weekly Flag Ceremony of the Local Government of Kalinga. 4 Participants : 2 from Kalinga (Almora General Hospital & Kalinga Blend, 2 from Abra: Pamora Farm & KAPPIA Coop. the eldest daughter of Dr. Jaime Almora join us during the defense. A close door panel judging for every contestant. Consist of 6 judges from Nat'l. Wage & Tripartite Board, DTI & DOLE. Each contestant has given 15 minutes for a power point made presentation about his entry with a question and answer part from the panel of judges.